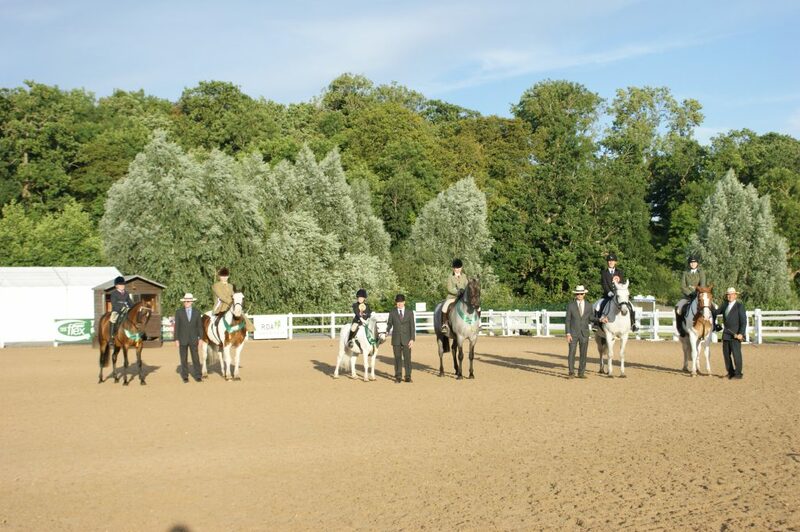 Judges at the second qualifier for the SEIB Insurance Brokers-sponsored Riding For the Disabled (RDA) Search for a Star (SFAS), held at Hartpury College on Friday (14 July), were so impressed by the standard that they sent four – instead of the planned two – through to the September final. 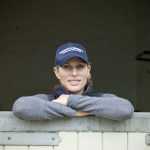 The winner at Hartpury had only been riding her horse for a month. Gabby Blake, 24, who lives in Whatton in Nottinghamshire but is from Port Elizabeth, Eastern Cape, beat 29 other hopefuls riding The Rose of Derry, as her own pony, Geronimo, was unsound. 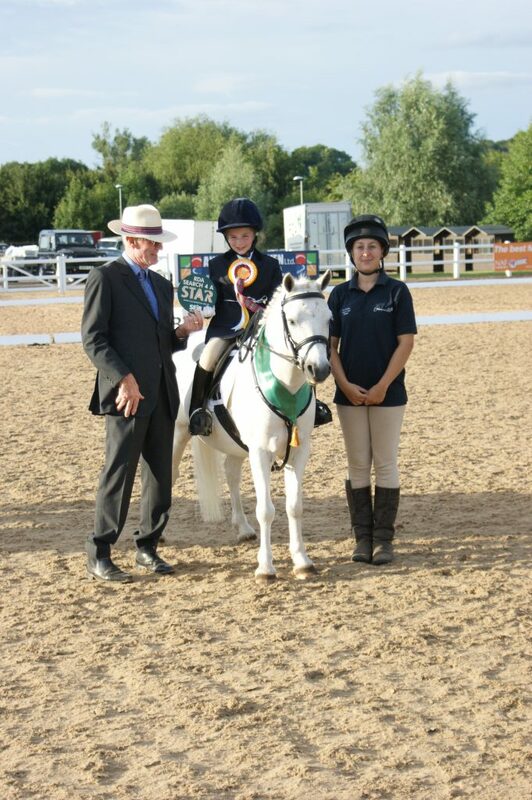 Gabby, who is in the South Notts RDA group, has a rare and painful condition but has been riding for most of her life. 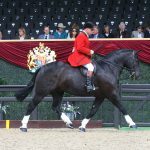 She competes with Geronimo in para dressage but used to do showing and has been considering returning to the show ring. 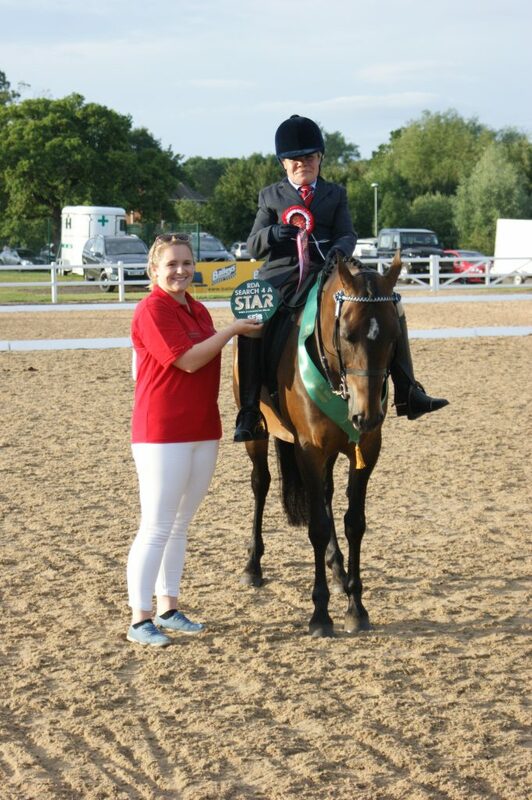 She was impressed by the standard at Hartpury, where this qualifier was held as part of the RDA National Championships over the weekend of 14-16 July. 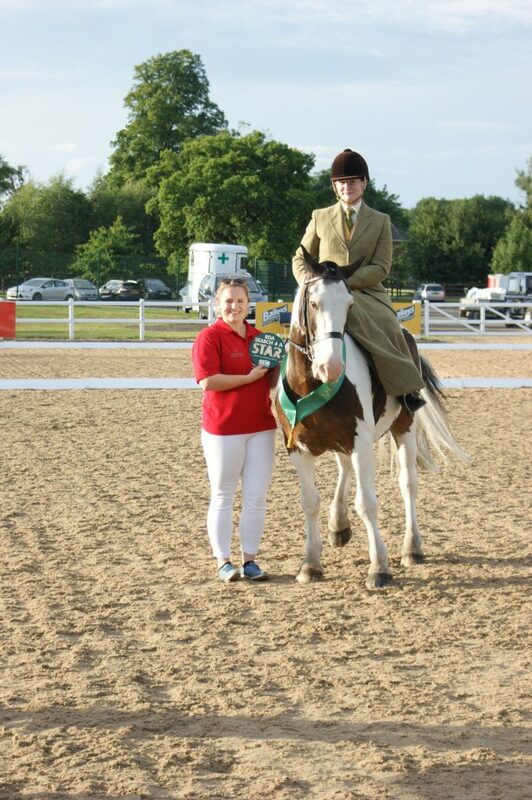 The judges were full of praise for the runner-up, too – Lizzie Bennett, who rode side saddle on the coloured cob Rolo. In contrast to Gabby’s previous showing experience, it was Lizzie’s first show ring outing but she was undeterred. 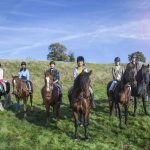 “I’ve never done showing before in my life so I didn’t know what to expect, and I didn’t really know what I was doing,” joked Lizzie, 27, who rides one-handed with specially adapted reins from Mulryan Saddlery. Lizzie had her own horse when she was younger, but had to sell him when she broke her back doing gymnastics about 13 years ago. Her weakened left arm is due to a genetic condition that also affects her left shoulder. “It’s not helped by the fact that I keep falling off and landing on it,” she admitted. 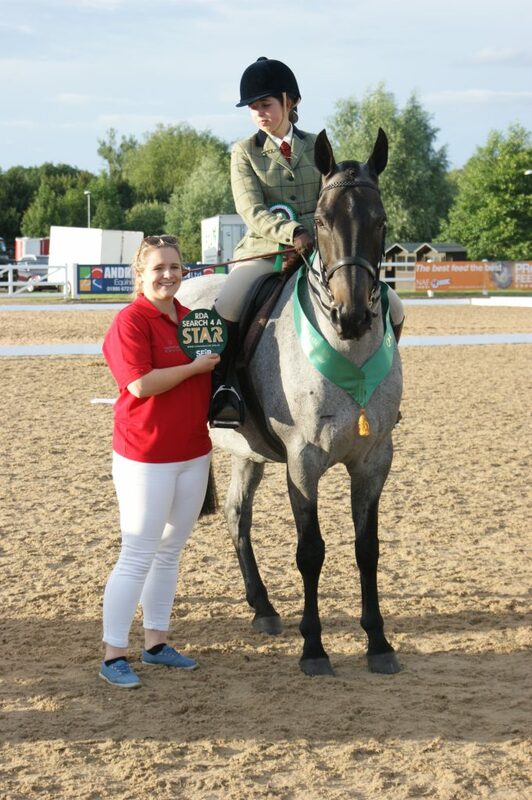 Like many of the SFAS contestants, she was also competing in dressage and show jumping at the national championships. She and Rolo finished seventh in dressage on the second day and won their show jumping class on the first day. 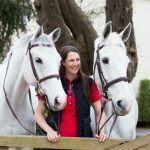 A last-minute decision to enter paid off for Middlesbrough-based Brooke-Leigh Johnson, 10, when her charming 15-year-old pony, Wrentnall Snowman (Spider), took the third qualifying ticket. Brooke-Leigh, who suffers from hearing loss and speech problems, has been a member of the Unicorn Centre for the past five years and is a keen competitor at all the shows held there. The fourth qualifier was Imogen Darke, 18, who was inspired to take part in this competition when she attended the initial lecture/demo given here last year, when the SEIB concept of the class first took root. Imogen, who suffered a severe head injury in an accident at the age of 11 and spent two months in a coma, has little peripheral vision but she partnered Chandaem My Guy, her family’s 14-year-old hunter, with great aplomb. SEIB marketing director Nicolina MacKenzie, who first thought of the competition and pushed to make it happen, was delighted with both the numbers forward and the standard they represented. “These riders are truly inspirational,” she said. 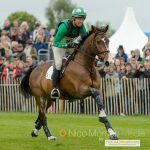 “Many of them would give able-bodied riders a good run for their money, and the difficulties they have overcome in their lives are a lesson to us all. 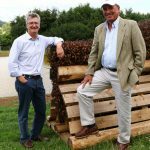 I am so very pleased that SEIB as a company has been able to launch this series and we are very grateful to RDA for its help with running this competition and its support generally.